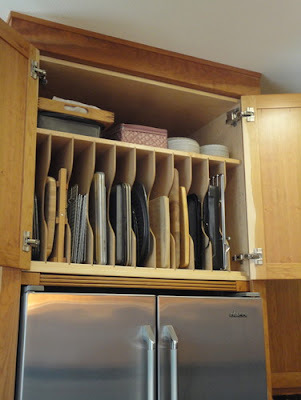 I would need a step to reach them, but I certainly don't use my baking sheets, roasting pans, or muffin tins every day. I'm thinking 1/4" Birch Plywood top and back, 1/2" side and bottom for stiffness. Figure out something simple for the doors.